In March 2019 Oticon announced a new line of hearing aids known as the Opn S. They’re doing this to replace their original Opn line. This new line of Oticon hearing aids will include technology at three different levels and four different model types. Improve speech and understanding by 15%: This is a detail that was based on a research study performed by Clinical Research Audiologist Josefine Juul Jensen from the Centre for Applied Audiology Research, headquartered in Denmark. Jensen previously conducted the investigation that discovered that the Oticon Brain Hearing technology will improve a user’s proficiency when it comes to understanding speech, even when they’re in a noisy environment. According to her this new hearing aid line will make it so that people who have experienced hearing loss will now be able to understand speech nearly as well as someone who has normal hearing. Reduced listening effort by 10% by offering improved cancelling of feedback: Greatly improved feedback cancelling is one of the many features these new hearing aids offer. This is something that Oticon hearing aids have had challenges with before. While the Opn instruments have reduced concerns with feedback, the Opn S technology has improved significantly in this area. Increase memory recall by 10% by including an open sound booster: According to Oticon their app will also contain a new Open Sound Booster. This means that you can use your Android smartphone or your iPhone to boost your hearing support when you feel like you need to do so. All these things are made possible while still maintaining the lifestyle-enhancing connectivity features that this brand is renowned for and has spent time revolutionizing over the years. 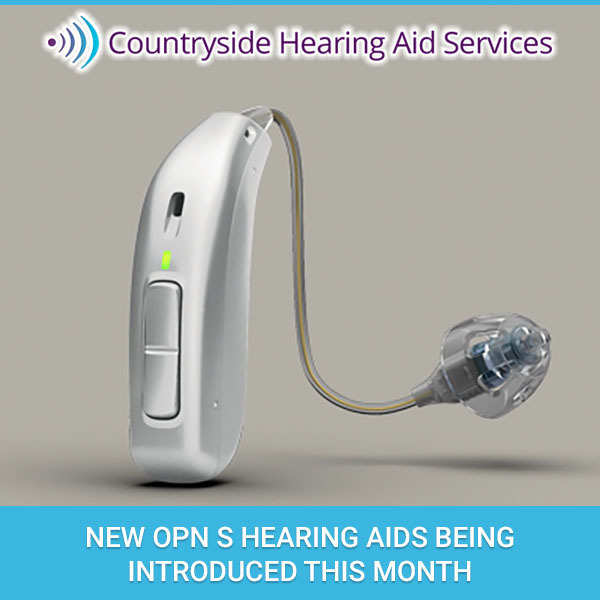 As these hearing aids are rolled out onto the market you can count on Countryside Hearing Aid Services to have them available for you to experience. Over the years we’ve built a solid reputation for ourselves by making sure that our patients are highly satisfied with their hearing aids. With the introduction of these new Oticon hearing aids onto the market there’s no reason why this won’t continue. In fact, it looks like your life will get even easier with them so make sure you contact us soon to try out this new line of hearing aids for yourself.